HANDS OF GRACE is in need of toothbrushes, egg cartons, plastic bags, cereal, and soup. Thank you. >>>Autumn Pot Bless…. With the arrival of fall, it’s a perfect time to join in the warmth of fellowship. All are welcome on October 15th from 5:00 to 7:30 in the lower fellowship room for food and friendship. To help us prepare, please RSVP by October 10th to Don or Emily Poudin 860-485-9299 or [email protected] with the number attending and a favorite dish you would like to bring. It’s a Savings Account and a Draft Account … The StewardAccount is available only from the LCEF and can be opened with as little as $100. The StewardAccount is a ministry opportunity that pays competitive rates, provides access to funds as easily as writing a check, and offers an optional VISA Check Card and Easy Funds Transfers. There is no monthly fee and monthly statements provide a record of account activity. To learn more, call 1-800-THE LCEF (843-5233). Mormons – Who are they? What do they believe?…All are welcome for this study on Sunday mornings during the Christian Education Hour. This Bible study will look at the group’s origins (Joseph Smith, the Book of Mormon, Brigham Young, and others); the discrepancy between Mormon beliefs and orthodox Christian teaching and faith; the meaning of some of its rituals (baptism of the dead, endowments for the living and dead, temple garments, celestial marriage); and the prominence of the temple in the life of a Mormon. It will feature comments from individuals who have been deeply immersed in the Mormon belief system. 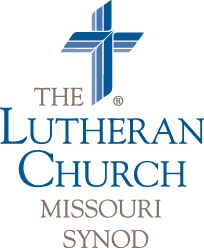 Lutheran Women Missionary League (LWML)…has a local Fall Rally taking place this afternoon in Holyoke, MA, and a District Retreat taking place on November 4th-5th in Enfield, CT. The topic for the Rally is “The First Rosa: Rosa Young – Lutheran Confessor, Educator, Church Planter” All women, men, students, and friends are invited. The theme for the Retreat is “Beautiful Feet”. Are your feet running in all directions, aching to be put up, or longing to walk alongside others? No matter where you are in your faith walk, the Lord has equipped you with uniquely beautiful feet! Please see the bulletin boards at church for more information on these events, or contact Deaconess Tiffany Manor.